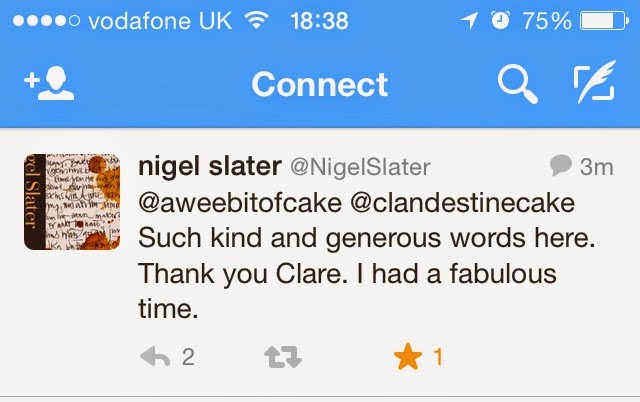 I was starting to come down from last weeks cakey high when I published the post on the Nigel Slater event but then didn't the main man himself go and tweet me saying he had read my blog post! Talk about making me giddy! 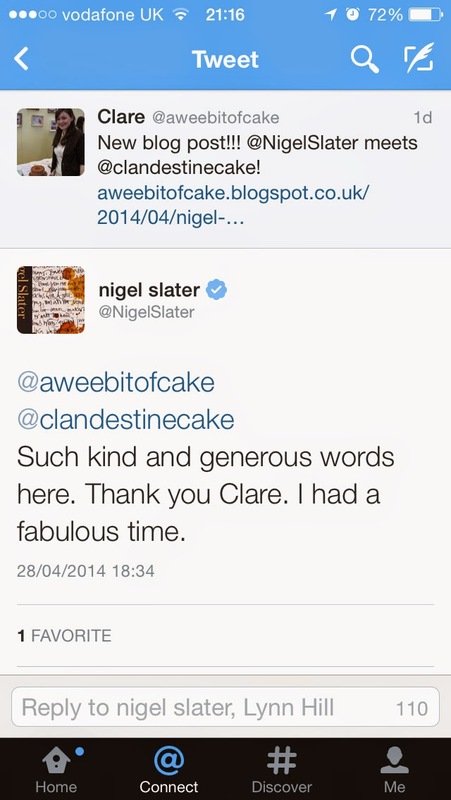 I waffle on here and I have no idea if people actually read my ramblings but Nigel Slater did! Look, here is a screenshot of it for proof! 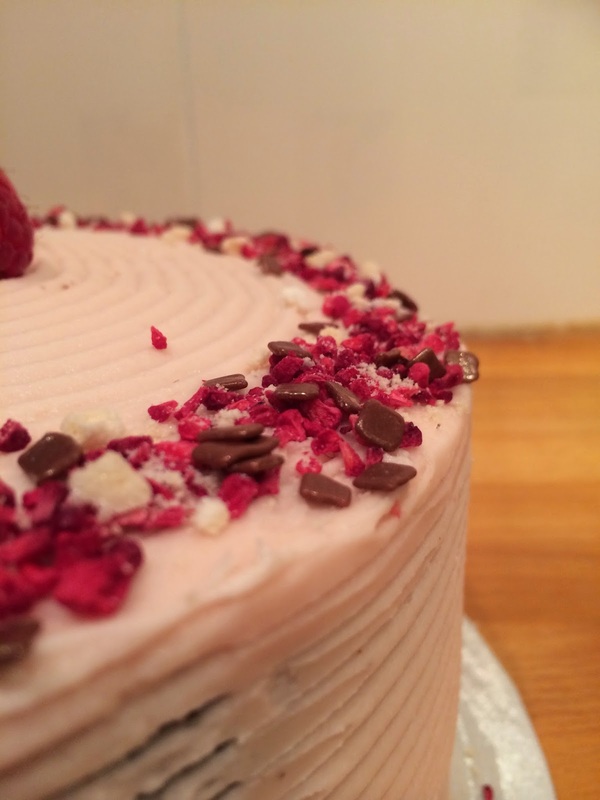 Anyway, the whole point of this post was to share the recipe of the cake that I made for that event. 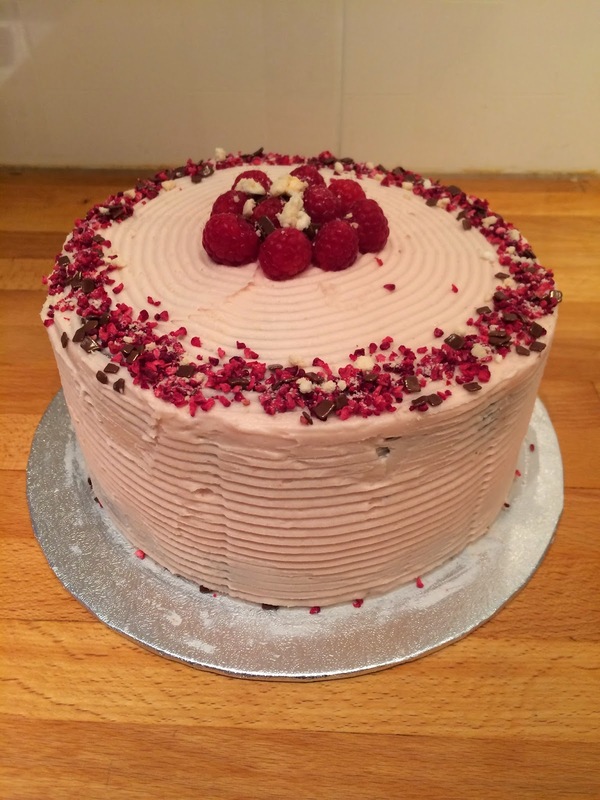 The theme was fruit and veg but to be honest with you I never think if adding veg to a cake, I know you can but it goes against the grain for me, I'm all about the sugary goodness (or badness?) that a cake consists of. 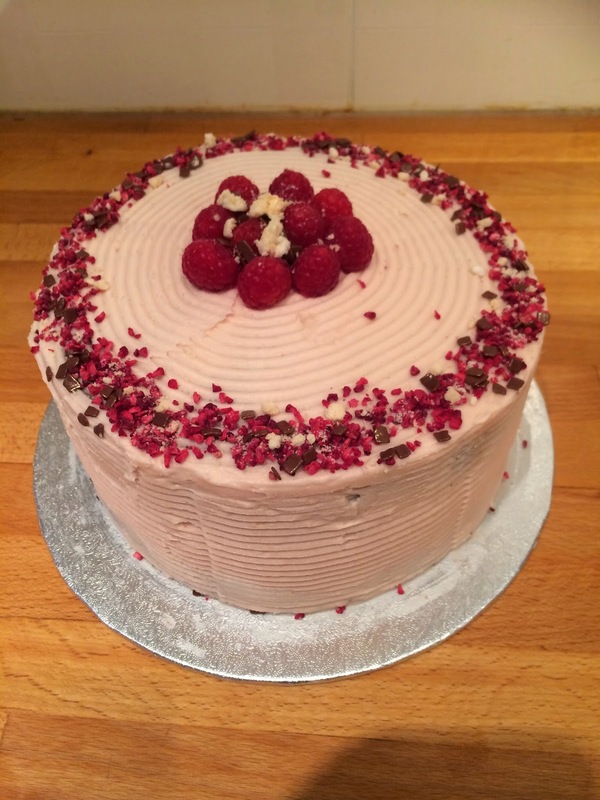 I decided to go down the fruit route and straight away I though raspberries and chocolate, they really are a perfect match. 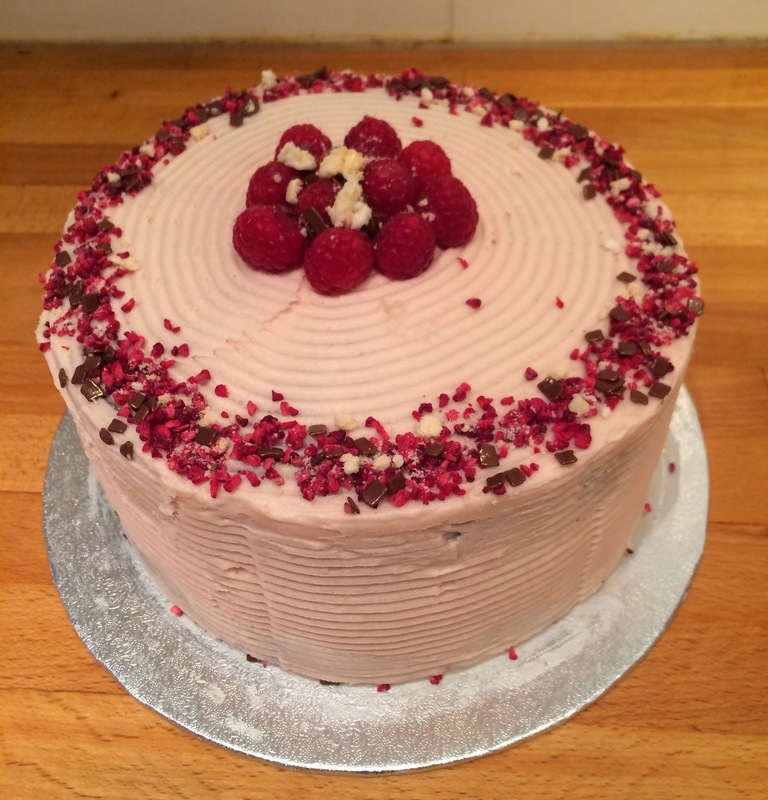 I know I have made a chocolate and raspberry cake before but this time it needed to be extra special and that's when I thought of meringue. 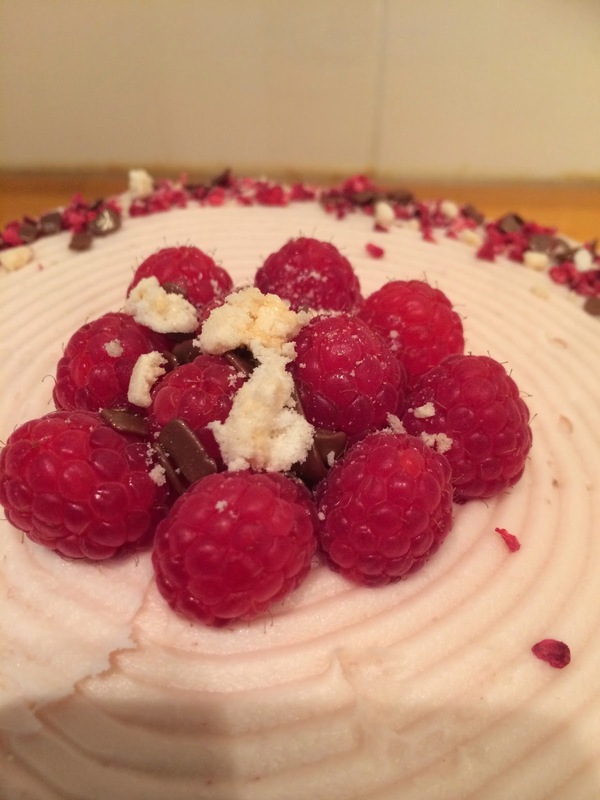 I have used meringue in other cakes (here and here) so I felt like it would be a crowd pleaser. I actually baked the meringue separately cos it was the only way I could guarantee it and the sponge would be cooked properly. Lots of recipes say you can bake the meringue on top of the sponge but I worry about the cake sinking or being over/under baked. I did intend to try a different chocolate cake recipe instead of old faithful but I had too many other things going on and I knew this was a quick sponge I could make on an evening after work without too much stress and faffing. I am determined to explore new chocolate cake recipes though - it's Himself's birthday on Saturday so I'm going to make a different chocolate cake for him. Also, one day I will get the scales out when I make this chocolate cake. Usually I'm a stickler for scales but this is one recipe where measuring cups really work. Once all the sugar has been added and the meringue looks glossy mix the corn flour and vinegar together and add to the mix. Beat the butter, icing sugar and milk together for around 5mins til pale and mousse like. Add the jam a bit a time until it tastes raspberry enough. Add some more milk if it isn't smooth enough to spread. Add a thin layer of buttercream to the first sponge, place the meringue on to it and trim off any overhanging bits. Don't worry if the meringue gets a bit crushed as a top layer of sponge will end up on top of it anyway. Add the top layer of sponge and coat all of the exterior of the cake in a thin layer of buttercream known as a crumb coat. At this stage put the cake in the fridge for 30mins to firm up. Once firm add another thicker layer of buttercream to the whole cake and using a patterned scraper (optional) pull in along the side of the cake to create a nice design. 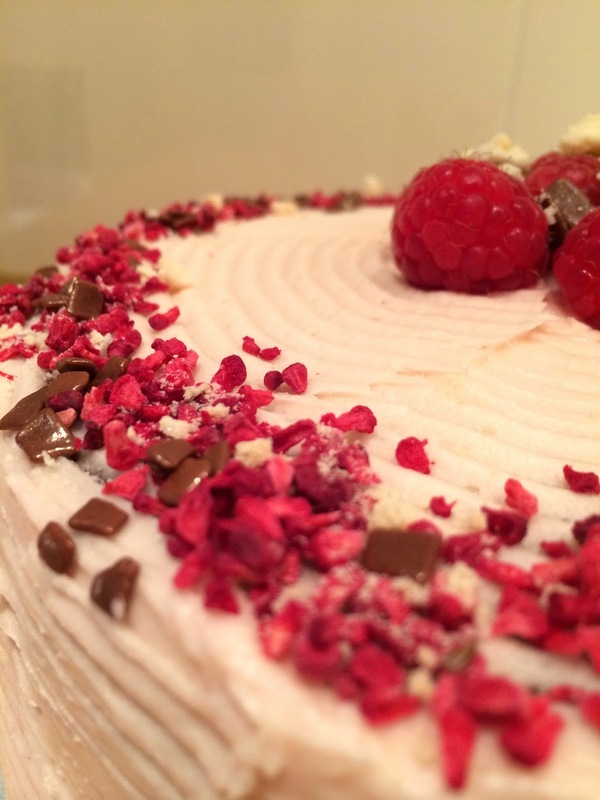 Decorate the top with sprinkles of freeze dried raspberries, leftover meringue pieces and a handful of fresh raspberries. I know this cake has a lot of steps but honestly it is not difficult to make. I don't like overly complicated bakes as you end up making mistakes or losing heart with it. If you want to you can make the sponge and meringue the night before and then decorate the next day.